THE HOME OF Michael Luendo, on a small plot of land in rural Kenya, 30 miles from the Ugandan border, is attached to the church where he preaches, next to the field where he farms. The homestead is awash in sunlight and alive with squawking roosters and baaing goats. Luendo’s floor is swept dirt, his roof corrugated tin. He and his wife, along with eight children, live without running water or municipal electricity. These are luxuries they’ve never known. So it’s somewhat startling to see an LED bulb, set in a shiny blue housing, hanging from one of the home’s exposed ceiling beams. “I use the light to study my bible in the evening,” says Luendo, speaking Swahili and gesturing with pride. “And my kids use one in the next room for schoolwork.” One of his sons is planning to leave home for college next year. He didn’t read much when he had to strain his eyes under the weak glow of a kerosene lamp, but with real lighting in the house, he’s finally buckling down on college prep. “Even the chickens have light now!” Luendo says. Out in the coop, a motion-sensor LED serves as a simple security device to spook would-be thieves. These lights, from the Brooklyn-based company BioLite, may as well be from another planet. They hang like spaceships in windowless rooms across rural Kenya, a country where fewer than a quarter of the residents have powered lighting. The trio of bulbs in Luendo’s house are bright and dependable. They’re powered by a control module that holds a fourth LED and a 20-watt battery, which draws power from an 11-by-8-inch solar panel on the roof. The system makes up the SolarHome 620, and in addition to charging phones and playing music, it extends a family’s productive hours—time they can use for education or simply eating dinner if they choose to work late—past sundown. You might already know BioLite from its camping products. In 2012 the company launched its two-pound CampStove, which runs on burning twigs and uses a thermoelectric generator to create electricity for charging small devices. In the half-decade since the CampStove launched, BioLite has grown into something of a darling in the outdoor world: Last year the company raised $2.5 million for a 20-pound grill based on the same technology. 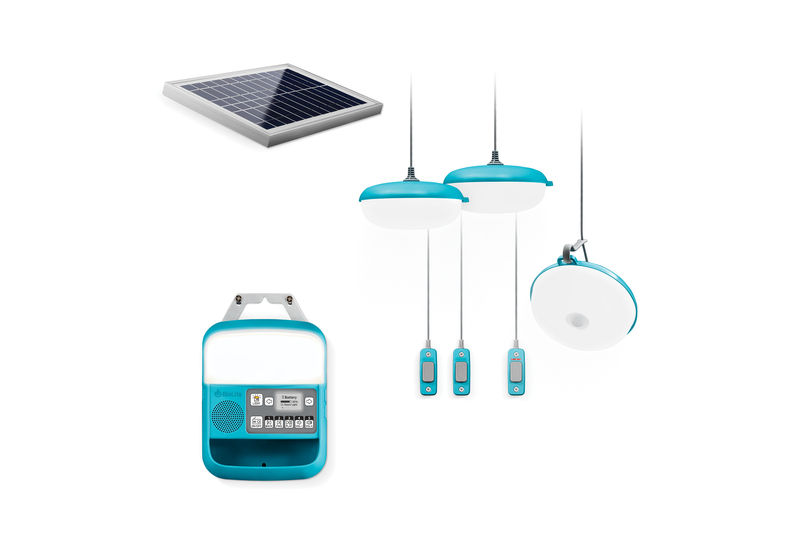 Today, in outdoor stores across the country, you can shop a range of BioLite power banks, solar panels, LED lights, and stoves. But BioLite’s outdoor line is soon to be upstaged by another goal: creating daily-use electrical appliances for billions of people living without electricity, and the shift is helping the company chart a new course for the future of social-impact business. Seven years before they had a product, Cedar and his business partner, Alec Drummond, both engineers, were working at Smart Design for clients including HP and Ford. One day Drummond came in carrying a wood-burning camp stove his brother had given him. “It was the kind of thing you’d find in a hippie hobbyist magazine,” says Cedar. It looked like a tin can with holes punched in it, but, with a battery-powered fan at the bottom, it could stoke tiny flames into mini infernos. Cedar had been a ski patroller and backpacking guide during college at Dartmouth, and as a product wonk, his love for the outdoors was rivaled only by his appreciation for well-designed tools for spontaneous adventures. For kicks, he and Drummond started tinkering with the fan-powered stove to see if they could develop a modified version that required no batteries. They eventually found success with a thermoelectric generator that replaced battery power with heat from the fire. They carried the prototype, the precursor to the CampStove, to a niche conference devoted to wood combustion technology and snagged its top prize. “We happened to walk in with the cleanest technology this group had ever seen,” says Cedar. The thrill of the award, though, was outdone by a newfound understanding of the impact clean-cooking technology could have around the world. Today some 3 billion people burn wood, dung, and coal indoors to prepare food and heat their homes. These fires create smoke that can contain 100 times the safe level of fine particulate matter, which contributes to stroke, heart disease, bronchitis, and a host of other diseases. According to the World Health Organization, indoor fires result in a shocking 4 million deaths each year. Before Cedar left the conference, the seed of BioLite was already germinating. “It was more or less the moment that this became something I wanted to dedicate my life to,” he says. The next year, he and Drummond left Smart Design, and Cedar hammered out a business model that he dubbed “parallel innovation.” It split the company’s potential consumers into two channels: outdoor recreation and emerging markets. The former was rich but small, and the latter poor but massive. “We could use the stability of the outdoor recreation market to bootstrap ourselves and buy time to be successful in the emerging market,” says Cedar. 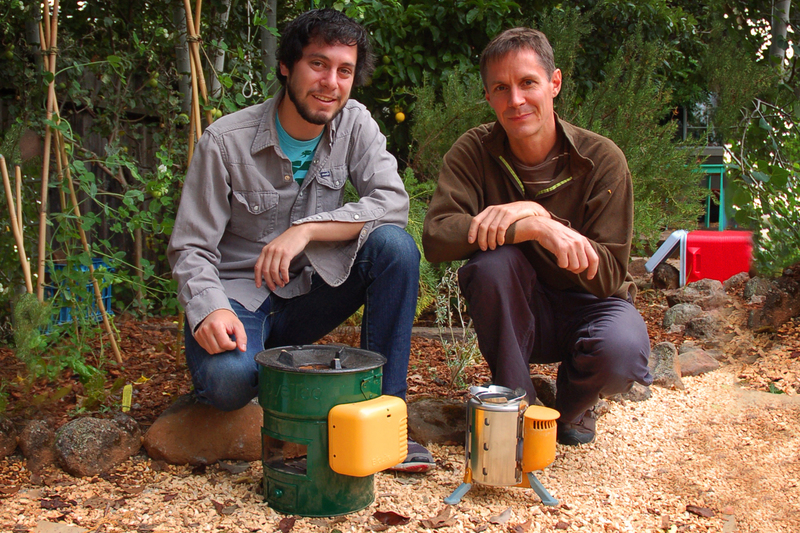 In 2011, the company received $1.8 million in funding, and the CampStove made the company profitable in its first year. The emerging market, as predicted, was harder to crack. It took BioLite the better part of a decade to develop and sell 20,000 HomeStoves. But the company built the SolarHome 620 in 18 months and sold its first 5,000 before a single retail-ready model had come off the factory line. Now 50,000 are in production. 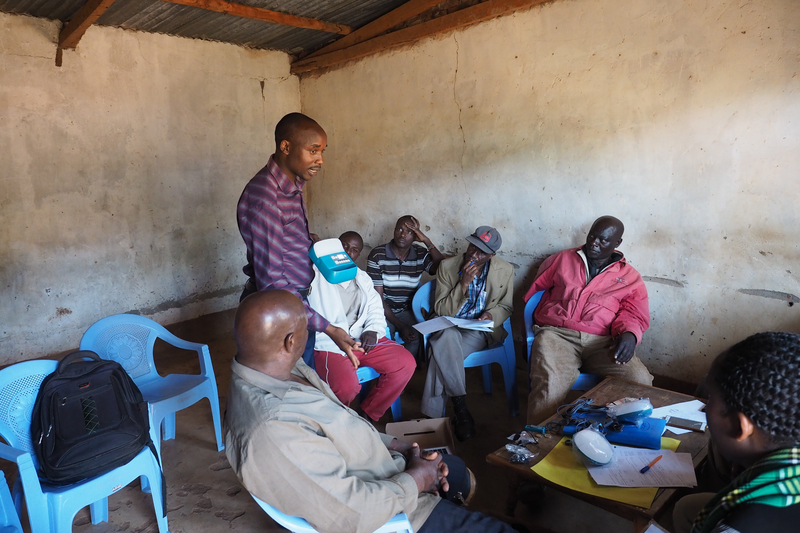 LATE LAST YEAR I trailed two burners, a term BioLite uses for its emerging-market sales force, on a half-dozen product pitches and service calls in unlit churches and community rooms around Kenya. The burners work alongside loan officers from microfinancing institutions, which extend small credit lines that help poor farmers purchase simple necessities like dairy cows or the jars they’d use to bottle and sell the milk. If someone wants a HomeStove or a SolarHome 620, the loan officer can approve a credit line on the spot. The fact that BioLite still charges poor customers $75 for a stove and $100 for a SolarHome 620 (which sells for $150 in the U.S.), makes the company hard to categorize. Sure, it’s helping people, but it’s not a charity, like Toms Shoes or Warby Parker, which essentially donate products to poor communities. BioLite could give away a hundred stoves, no problem. But simply handing out products can produce unforeseen and unfortunate consequences. AT ITS EMERGING MARKET headquarters in Nairobi, BioLite occupies a corner office in a shared workspace. Floor-to-ceiling windows make the room seem big, but in practical terms, it barely fits 10 desks. 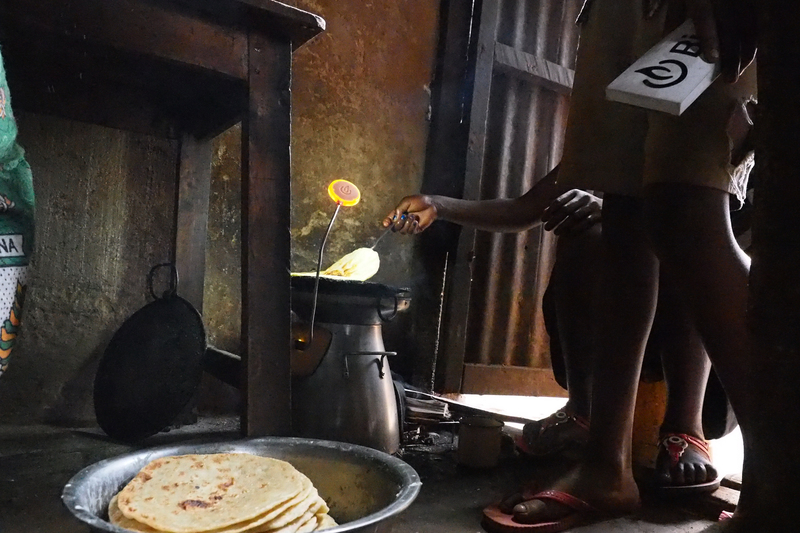 The bulk of the company’s 30 employees in Kenya work as burners out in the countryside. In addition to selling units, they help troubleshoot issues and provide feedback to the company. 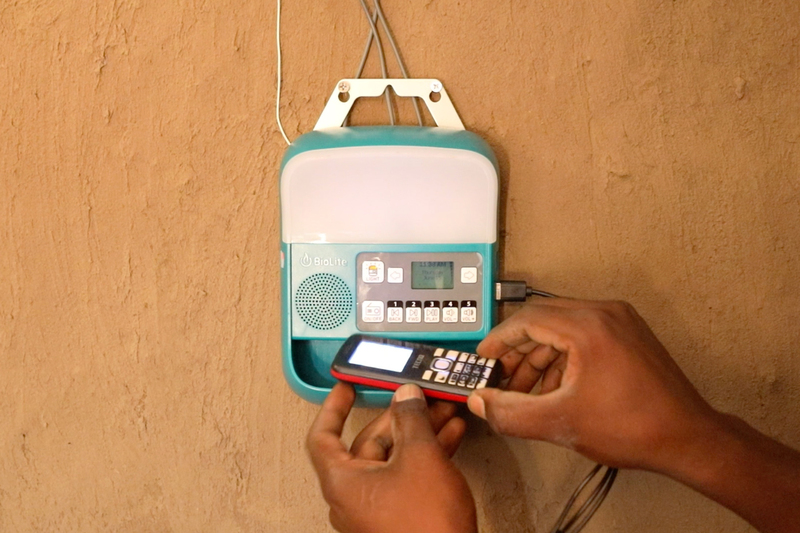 Early in the development of SolarHome, BioLite learned that farmers wanted FM radios, so they could listen to news and weather reports. They also wanted a security solution that didn’t require them to drain their batteries by leaving an outdoor light on all night long. Word was sent back to Brooklyn, and almost immediately a team of engineers began hammering out a prototype. Eighteen months later, 5,000 units were delivered to rural farmers. SolarHome has already goosed BioLite’s emerging-market sales by 250 percent for 2017, despite a midyear release. Next year, for the first time, the company expects to be profitable in Kenya. “Within two to three years, I imagine that emerging-market sales will overtake those in the outdoor-recreation division,” says Ethan Kay, who runs the office in Nairobi. The growth will largely be enabled by a DIN port nestled neatly into the side of the SolarHome. It’s the feature that most clearly points to BioLite’s ambition, and they’ll use it to attach additional power storage and even appliances. Later this year, BioLite will begin selling a battery that increases the SolarHome’s run time by a factor of five. 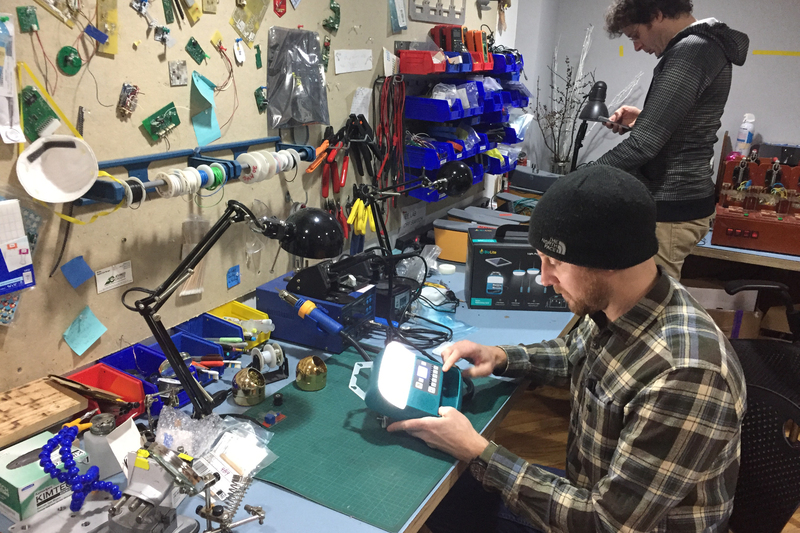 BioLite’s expectation is that there are billions of people in the world—potential BioLite customers—who might completely bypass the electrical grid as they enter the developed world. They might never have power lines running into their homes, but they will have what they need for healthy, comfortable lives.